Levon Shant was perhaps the most important playwright in the history of Armenian theater, but he was primarily a seasoned and accomplished educator. He was also an active participant in the Armenian liberation movement. Shant was born Levon Nahashbedian on April 6, 1869, in Constantinople. He lost his parents at an early age and adopted the last name Seghposian after his father Seghpos. He attended the Armenian school of Scutari (now Uskudar) until 1884, and then the Gevorgian seminary at Holy Etchmiadzin for the next seven years. He returned to Constantinople in 1891, where he worked as a teacher. He published his first literary piece in the local daily Hairenik in the same year. In 1893 he departed to Germany, where he studied science, child psychology, education, literature, and history in the universities of Leipzig, Jena, and Munich. Meanwhile, he started his literary career with the poem The Mountain Girl (1892), published under the pen name Levon Shant (shant/շանթ means “lightning”), but soon shifted to a series of novellas (Dreamlike Days and The Outsiders, 1894; Vergine, 1896; The Return, 1896, and The Actress, 1898). After finishing his university studies in 1899, he taught for more than a decade at the Gayanian Girls School in Tiflis and the Diocesan School of Yerevan. He became a member of the Armenian Revolutionary Federation in the 1890s. The turn of the century brought in him a different literary persona: the playwright. He wrote his first play, The Egoist, in 1901, followed by For Someone Else (1903), and On the Road (1904). After this string of plays inspired in contemporary life, he turned to the historical past and wrote his masterpiece Ancient Gods (1909), published in 1912, which made a huge impact on the Armenian literary world when it was premiered in Tiflis (1913). This was the first of several successful historical dramas he would write over the next two decades: The Emperor (1916), The Enchained One (1918-1921), The Princess of the Fallen Fortress (1922), Oshin the Bailiff (1932). In Tiflis, Shant participated actively in the gatherings of the literary circle “Vernadun” (Վերնատուն), held at the attic of poet Hovhannes Tumanian’s home, and was in close contact with other writers of the group, like Ghazaros Aghayan, Avetik Isahakian, and Derenik Demirjian. In 1909 he published, together with Hovhannes Tumanian and Stepan Lisitsian, the series of Armenian textbooks Lusaber. In 1911 he returned to his birthplace, Constantinople, and taught at the Central (Getronagan) and Esayan schools until 1914. By that time he was already married and moved with his family to Lausanne in Switzerland. He returned to the Caucasus in 1915 to supervise the publication of textbooks, but was unable to go back to Europe and remained in Tiflis until 1917, when he returned to Switzerland. However, after the independence of Armenia, he returned to Yerevan, where he became a vice-president of the Parliament of the first Republic. In April 1920 he led a delegation to Moscow to carry out negotiations with the Soviet regime, which would fail in the end. He was imprisoned by the new government after the Soviet takeover, but freed following the uprising of February 1921. In April 1921, after the end of the uprising, he left Armenia. For the next thirty years of his life, Shant would live abroad, first in Paris, then in Cairo, and finally in Beirut. He wrote political essays, like Nationhood as the Basis of Human Society (1922) and Our Independence (1925). In 1928, together with educator and literary critic Nikol Aghbalian, theater director Kaspar Ipekian, and former prime minister of the Republic, Dr. Hamo Ohanjanian, as well as a group of less known A.R.F. 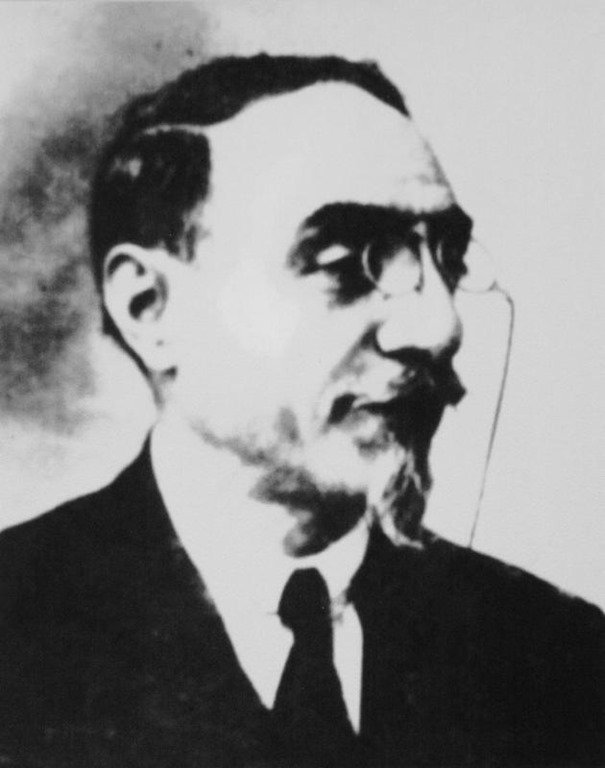 members, he was one of the main founders of the Hamazkayin Armenian Cultural and Educational Society in Cairo. In 1930, together with Nikol Aghbalian, he settled in Beirut, where they founded the Armenian Lyceum (Jemaran) of Hamazkayin in 1930, later known as the Nishan Palanjian Lyceum and currently as Haig and Melanchton Arslanian Lyceum. Shant was the school principal for the next twenty years, while at the same time he taught pedagogy and psychology. He created a unique pedagogical atmosphere in the Jemaran, focused on his belief that the school should educate a humanistic education also linked to the preservation and development of national identity. Engaged as he was in education and school management, Shant continued with the task of preparing school textbooks. He did not leave literature. In 1945 he published the novel The Thirsty Souls, and from 1946-1951 he published an edition of works in eight volumes, which included a yet unpublished history of Armenian literature. He passed away on November 29, 1951. His name was banned in Soviet Armenia, as were many other writers who were A.R.F. members or sympathizers. Nevertheless, a monograph about him was published there in 1930, and a collection of his plays appeared in 1968. After the second independence, a school in Yerevan was renamed after him in 1994.